We give club fitting a whole new meaning. 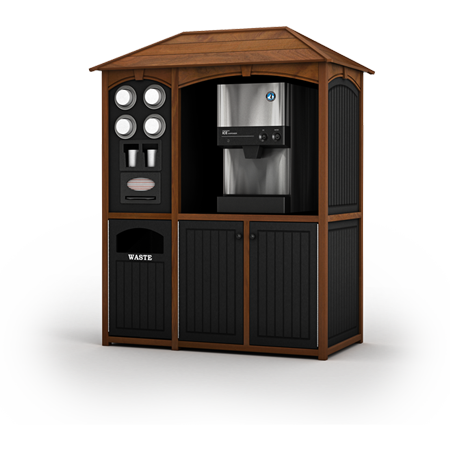 Explore our different material options and combinations for a look that's unique to your property. 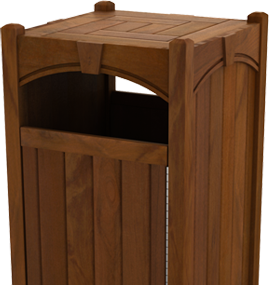 A robust color and texture are the hallmarks of a hardwood furnishing from Prestwick. An aesthetic V-groove adds a look of depth as well as longevity in the elements. The classic look of hardwoods plus the functionality and variety of color options that our Forever-nu™ Recycled Plastic is known for. This low-maintenance, recycled plastic material is 97% pure, which means the colors on our furnishings won't fade or weather over time. Capture the intangibles of your brand with one of our many logo applications. Beverage solutions tailored just for you. 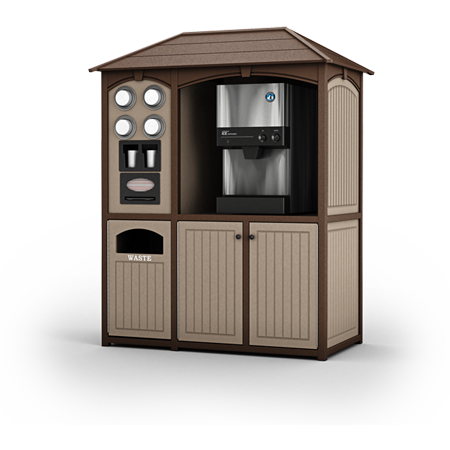 Begin with a Keystone Beverage Station built with Forever-nu™ Recycled Plastic. 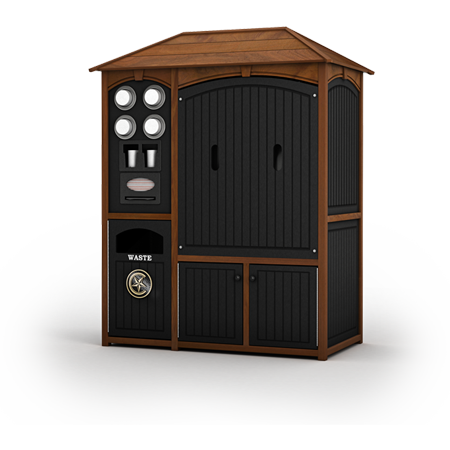 Add some warmth to the product by adding Solid Ipe Hardwood trim, and change the panel color. 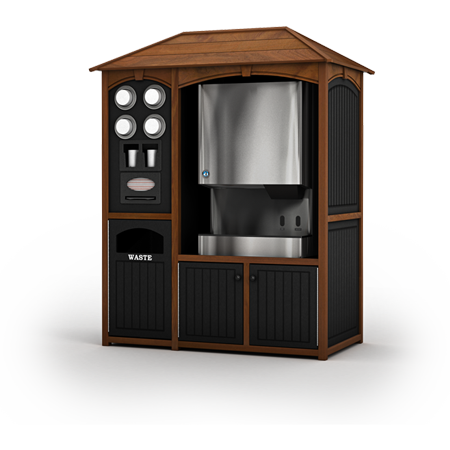 Adjust the design to accommodate a larger capacity Hoshizaki Ice / Water Dispenser. Add a cast bronze plaque with your logo on it. Consider adding a removable front / back panel to protect against vandalism or inclement weather. Please provide us with some contact information and we'll be in touch!